2 for 1 Classic Cocktails at Ego Restaurants Valid 7 days a week! Ego is an innovative restaurant chain that offers a great selection of Mediterranean inspired foods, from Greek to Spanish and Italian. With a casual dining setting that is family friendly yet chic, Ego venues make for a great place for a relaxed lunch as well as for an evening out. Ego prides itself on its steaks, however, it also has plenty of choice for people who don't eat meat, and a gluten free menu too. Whatever kind of cuisine you are interested in, you'll find some mouth-watering choices on Ego's menus, which are different at every one of their restaurants. You can also enjoy Ego for less when you take advantage of the regular offers, which we keep updated here at vouchercloud. If you are looking for good food and a nice atmosphere, your local Ego is definitely worth checking out! How do I use my Ego discount code? For any deals that require you to make an online reservation at Ego with a code, enter your promo code from vouchercloud as you book your table. Most Ego venues offer special deals on different days of the week, for example, tapas at reduced prices on Wednesdays, and kebabs on Thursdays. If you have something you especially love or want to try, it can be worth checking the site for the weekday offers at your local Ego. Can I buy Ego gift vouchers? If you've got a friend or family member you loves their local Ego, why not give them the gift of Mediterranean food this year? You can buy Ego gift vouchers online or from their restaurants. Does Ego Have Vegetarian and Vegan Options? Ego has plenty to satisfy vegetarian and vegans too, including vegan tapas, falafel, and much more. All vegetarian and vegan foods are clearly marked on their menu. Where Is My Nearest Ego? To find the contact details for your local Ego restaurant, just use their search online to get telephone and email contact details. Opening Times will vary for each restaurant, be sure to check yours via the locations page. 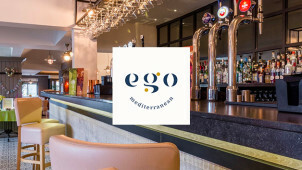 Ego are a family of Mediterranean inspired pubs and restaurants across the Midlands and North of the UK. Each menu boasts a mixture of the best cuisine from across the Mediterranean, and your Ego discount code will let you enjoy French, Spanish, Italian, Greek and Moroccan classics for less. With plenty of fish and seafood options to try, alongside delicious steaks, pizza, pasta and paella, there are vegetarian, gluten-free and vegan dishes to choose too, so everyone can enjoy a trip to an Ego restaurant. How Do I Use My Ego Discount Codes? Ego Mediterranean Restaurants and Pubs make perfect venues for birthdays, anniversaries and special occasions too. Plus, if you join the Ego Club online you will be in line for plenty more perks too. You’ll receive a voucher for a free 3-course meal on your birthday, plus a free bottle of Prosecco on an anniversary or other special day of your choice. Ego has loads of great foods to choose from, but one of their most notable menu ranges is their steaks. Cooked however you prefer with a choice of delicious sauces like dolcelatte blue cheese and classic peppercorn, you can choose fillet steak, ribeye, sirloin, prime rump or porterhouse, and enjoy the perfect sides including hand cut chips, mushrooms and onion rings. Most Ego restaurants have a weekly steak night where you can have a starter followed by a steak at a special promotional price, so check out the offers at your nearest Ego venue if you're a steak fan!